There is an old joke that the best two days of boat ownership are the day you buy it and the day you sell it. I spent this last weekend playing 54 holes of golf and hanging with some cool dudes. This picture is me drilling an 8 iron over water to make a key par. We were blessed that a family member of one of the players has a large vacation home in the mountains and they let us use it for the weekend. As I was sitting in the hot tub that night, I reflected on this thought: Though I’m not a millionaire, for this weekend I was experiencing all the enjoyment of this huge mountain chalet. For some reason, I am hardwired to think I need to own something to enjoy it. Maybe this is a result of thousands of advertisements or perhaps it’s just my nature to want to control. I do think there is a strong movement toward Lyft, VRBO, community gardens, bike sharing, and more peer-to-peer. We have a guest bedroom in our house, so for the past few months we’ve had a young person living with us. It hasn’t been a burden, it’s actually made life better. I wonder if this is what the early church believers were hoping for when they “shared all things in common”. Paul told Timothy to teach the wealthy (most of us) to “be willing to share”. What things can we share with each other? What do you need that perhaps you could get by with just borrowing? If we reorient our thinking around this, I think it would tremendously reduce our overall debt levels. “God will provide” is another variant of this idea. The idea that “faith” is a fix-all for what we don’t know and understand or a green light to pursue any desire we can dream up. Where does the role of faith fit into a healthy understanding of my finances? While I’m not a theologian, I have heard a lot of people using ‘faith’ language around financial matters for a long time. We’ve discussed that some people use ‘faith’ as a reason for pursing a theological education – sometimes used correctly and sometimes used as an argument for non-logical actions. Prosperity gospel teachers have also used ‘faith’ language to create an entire theological worldview where one’s physical blessings and hardships can be the result of their faith or lack thereof. 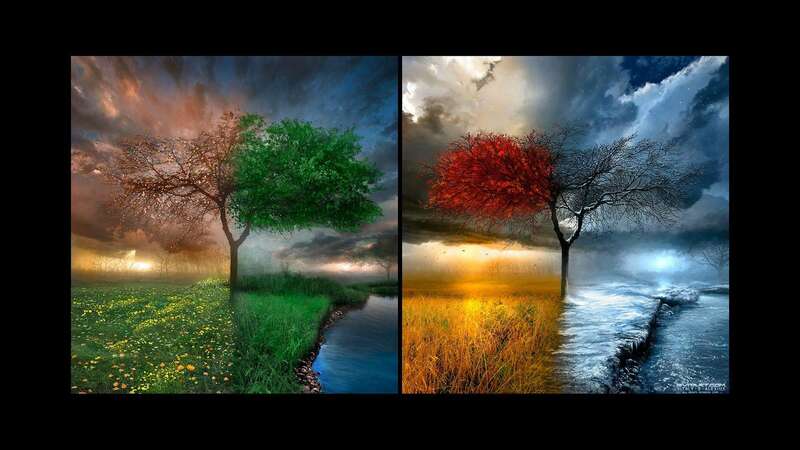 One way I believe Paul helped explain the world was dividing it into multiple “realms”. The physical universe (your skin, bones, DNA, cells, etc. ), the spiritual world (the heart, the Spirit, Faith, hope, love, peace, etc. ), and the mind or your thoughts. There are a number of examples of this (Romans 12:1, Romans 7:21-24, Romans 8:5-15, Galatians 5:16-18). I believe when the author of Hebrews 11 (probably not Paul) is saying that faith is the SUBSTANCE, what they are saying is that it is physical thing – an action in the physical world. This would echo what James says in the second chapter of his book that faith without deeds isn’t actually a real thing. It’s ‘dead’. Faith is itself an action based on your HOPE. Jesus said calling me “Lord” is pretty worthless if you don’t actually take my teaching and put it into “practice”. Walt Henrichsen says we take risks in the direction of our hope. Where is our hope? Where are we taking risks? For example, I think this definition works well with understanding salvation itself. Paul in Romans outlines a process: Though sinful (Romans 1-3), we have justification for sins by faith (chapter 4). Hope isn’t a wish, but an eager expectation that doesn’t disappoint (chapter 5). Our hope is in Jesus (Rom 5:1-2) who is the Hope of Glory (Eph 1:11-14 and Col 1:27), saved by the grace of God through faith in Jesus (Eph 2:8-9). Salvation comes through the physical actions taken in the direction of our hope. Thus in Romans 10:9 Paul says if you take a physical action in the direction of your hope – confess with your mouth what you believe in your heart – you will be saved. Another way of saying the same thing? Follow Jesus. Believe he is who he says he is and actually do what he teaches (John 14:15-24). Back to finances….I believe it’s critical to articulate what I’m hoping for. This will greatly clarify my faith statements. It’s really how the scientific process works. I set an eager expectation when I construct a hypothesis. Then I take a step of faith into the unknown and begin testing (“method”) in the direction of my hope. This is quite literally gathering ‘evidence of things not seen’. What am I hoping for in my finances? Having more than $400 for an emergency? Being a responsible steward of all I’ve been given? Raising my children without endemic poverty? Being completely debt free someday? Going to Seminary without debt? Paying my student loans off within 5 years? Sending my children to college without debt? Allowing my spouse to be able to be a homemaker? Giving 20% of my income? Taking a year off of work when I turn 40 to serve the hurting? This can’t be hope as a ‘wish and a dream’, but rather an eager expectation. What Peter called a “living hope”. Romans 15 calls God the “God of Hope” whom through the Holy Spirit we may “abound in hope”. Peter described hope as something we can “set fully on”. Paul described it as a product of suffering, perseverance, and character. Solomon said without it the heart grows sick. We need to land on a specific goal, a firmly embedded hope in our heart. Then we can start by taking actions in the direction of our hope. This is an act of faith – a risk in the direction of my hope. It can be extremely unglamorous. I have a strong hope that raising children in a stable home and remaining married to my wife will be worth it in the long run. The reality is that this isn’t the easiest or most self-gratifying way to go through life. The reality is that I don’t know what life will be like in 20 or 30 years. But I have an ever present earnest hope that my life will be better in the future if I love my wife and serve my children in the present. And so in an ACT OF FAITH, I change diapers and go to work each morning. It is an act of faith – an action believing that it will be worth it. It’s not an exaggeration to say doing the dishes is an extraordinary act of faithfulness. This is the kind of faith that breaks down generational cycles of fatherlessness, poverty, alcoholism, and abuse. What is my financial hope? Do I want my spouse to be able to stay home with our children? I understand it isn’t possible right now. Step one: Set my hope on that outcome. Step two: Take a physical step of faith in that direction. What can I sell? Can I work a 2nd job? Can I downsize our house or car? Can I cut our food or entertainment budget in half? Can we payoff a credit card in the next 60 days if we live on nothing? Do you feel called to go to Seminary without incurring a crushing debt burden? That is a noble goal. Set your hope in that direction. Next, start taking steps in the direction of your hope. Have you applied to Seminary? Have you applied for scholarships? Have you applied to 10 better jobs then you have now? Have you tried doing fundraising? Have you shared your vision with 20 people? They all won’t work, but that’s ok. We don’t know what act of faith will work unless we try. Finding out what will work or watching God reshape our hope in another direction all together – that is the miracle of the divine crashing into my finite time and place. And it will be your unique story of how God provided and your faith will be strengthened because you will have your own personal “evidence”. “And I say unto you, Ask, and it shall be given you; seek, and ye shall find; knock, and it shall be opened unto you.” It always starts with an action in the direction of your hope. When it comes to finances, I’ve often had someone tell me “you can’t do that”. The truth they are telling me is probably “I can’t do that.” I understand these are wildly taken out of context, but there are instances of Jesus being amazed by unbelief. He is saying “Why aren’t you actually doing anything?” We say “Well, because we can’t control the wind and the waves.” Apparently that isn’t a good enough reason. Conversely, Jesus was amazed by the faith of an outsider who took action when his servant fell ill. I believe a lack of faith is refusing to take steps into the unknown in the direction of my hope. You might believe it’s impossible to pay cash for your next car. Have you considered selling your expensive car that currently has payments? Have you read any books or articles on how to do it? Have you considered driving a crappy car for 6-12 months? Have you considered what you could sell to raise the money? Have you considered driving a car with hail damage? Have you considered going with one car for a significant period of time? Have you bought a car with significantly less features for a lot less money? I know you can because my wife and I have done all of these things. I’m happy to say we have two beautiful, paid for cars. It took my wife and me a couple of years, a string of ugly cars, several breakdowns, a few arguments when we only had one car, and an ’04 Kia with hail damage I bought for less money than I was making per week, but we did it and we’ll never go back. I have had people use spiritual language around a financial event that causes me to wonder. They say God “blessed” them with a new car (and car loan) or God “provided” the financing for the house of their dreams. The reality is I don’t know, maybe He did. But I do believe “The blessing of the Lord makes a person rich, and he adds no sorrow to it.” I wouldn’t want the blessing of your car if it came with your car payment. My deepest desire is a greater Hope for you. I want a greater faith in the direction of that hope. The message for me, as well as you, is that we wouldn’t settle for good enough. The good news of the gospel is that we can participate in the Kingdom – how the world ought to be. Let’s set forth with Kingdom hope and then take audacious actions in that direction. When someone says “You gotta have faith”, I trust they have survived suffering, produced perseverance, developed character, and nurtured a hope that is deserving of that faith. And I hope they have enough faith to take courageous action in that direction. Interestingly, it seems like one thing God does is hide the size of the elephant and just asks us to start with a single bite. I’m in the process of reading The Hobbit to my kids right now, and Tolkien’s tale illustrates this point in a wonderful way. The story opens with Bilbo Baggins very much enjoying his life as status quo. Between first and second breakfasts, the wizard Gandalf tricks Bilbo into hosting a party of dwarves. Through the first chapter, Gandalf ropes him into ‘an unexpected journey’ one step at a time without letting him know how big the party is going to be, his role in the adventure, what to pack, or when they are leaving. As you might imagine, before long Bilbo is locked into the quest of a lifetime. This theme is found throughout scripture as well. From Abram setting off with an unknown destination to God sending Moses back into Egypt to Jesus disciples being asked ‘follow me’, God sends us forth in life without knowing the scale and scope of the adventure. I can’t imagine this is an accident. What elephants seem overwhelming to you right now? Three years of Graduate School? Your debt? Finding a job? Buying a house? Eighteen years of raising children? Becoming a good spouse? Losing weight? Kicking an addiction? Reading the Bible in a year? Running a marathon? Writing a book? Starting an organization? These are great things in life and they don’t just seem overwhelming, they ARE overwhelming. But don’t let that keep you from starting on the journey. I had a dream about a prep-style rally encouraging students to save money and knock out debt. It culminated with a white middle age lady in a pant suit going into a freestyle rap on the importance of fiscal prudence. I’m sure that scene bubbled up from the recesses of my subconscious as a result of this article I read a couple weeks ago in which Indiana University representatives will at random times jump on a bus (painted with a caricature of a pig swinging on a wrecking ball a la Miley Cyrus) and hand out gift cards as rewards for correct answers to personal finance questions. Here is (in my opinion) the problem with the strategy that Indiana University’s and other institutions who try to address financial issues with frivolity and merriment. Financial issues aren’t a light matter. While we can use humor to bring humanity to serious matters, the solutions aren’t any lighter than the core issues. This is my favorite clip of 2015. 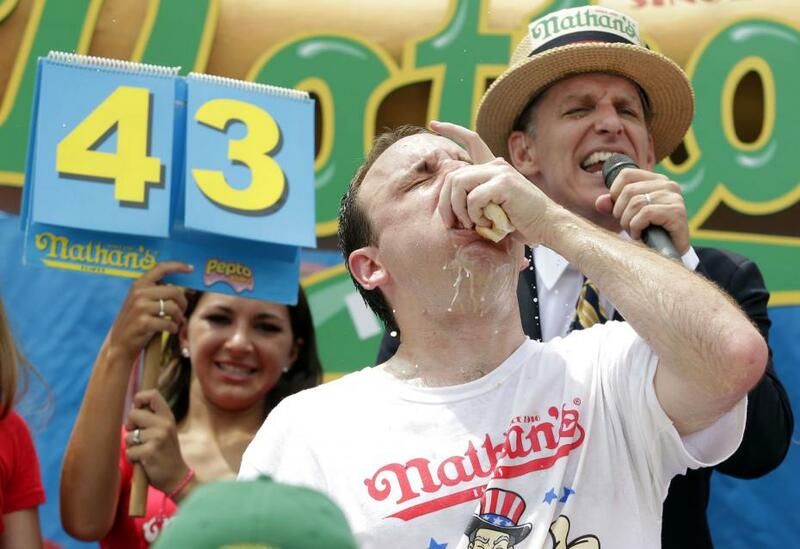 A hot dog eating contest is the perfect stage for outrageousness, but I fear that if you try to draw people into a heavy issue with a light hearted entree, they won’t stick. I understand this makes me sound incredibly boring and old – believe me when I tell you nobody loves irreverent humor more than I do. But from my experience working in financial services for 15 years: You want your financial planner to take your money seriously. Your Realtor can wear flip flops (looking at houses is fun), but you want your mortgage banker to wear a blazer. I want my CPA to be so introverted he gets nervous looking at my shoes when we talk. We respect ourselves more when we make respectable decisions. I want to be the type of person who takes my financial future seriously. Serious problems require serious solutions. For the majority of human beings, housing is our biggest expense. On the hierarchy of needs, shelter is one of the essentials and where/how we live truly shapes our lives. Unfortunately, for a graduate student living in an inexpensive one bedroom apartment in Denver, rental rates have climbed over $800 a month, or around $10,000 a year. There are creative ways to reduce this expense, and they can dramatically change your financial future. I’ve put some thought into it – asked around – and gathered some alternatives to traditional housing that can save significant amounts of money. Open Door Ministries. ODM owns 7 homes that offer long term transitional housing for folks moving toward long term sustainability. There are a couple of options (when open) to live in one of the houses and provide leadership. Providence Network. 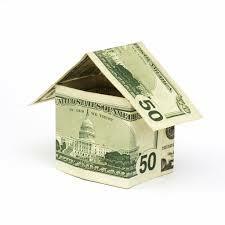 Similar model to ODM, they offer reduced or no cost housing for leaders willing to lead a home. Young Life. I believe Young Life in the greater Denver area has had several homes donated to them that they use for staff. I believe this is an option for staff only, but it may be worth looking into. Denver Rescue Mission. This organization offers room and board for those willing to donate a set number of hours each week. Downing House. A really cool old property that houses 12 men and 12 women. Residents have to donate hours each week to ministry. I’m sure that there are other options that are not on my radar – feel free to email those to me (dan.macleay@denverseminary.edu). These can be a fantastic way to both serve and meet your housing needs. Snow Birds. Homeowners may choose to live in a warm climate city for 4-6 months a year. They often pay someone to keep an eye on their house. A graduate student living in their home can be a fantastic blessing to both parties. House Sitting. I know a friend who was able to live rent-free for a full year while her host family moved overseas for a period of time. Empty Nesters. The average square feet of a single family home has grown dramatically over the past 50 years, and most of those homes are owned by families with the children transitioning out of the home. This is a ripe opportunity for ministry in both directions. Mature couples can speak into the lives of younger peoples about their life experiences, and young people bring life, energy, and excitement into a home. There are many opportunities for live-in help with families of all sizes. A seminary student is a fantastic candidate because of their maturity, faith, and season of life. Basement Apartments. Many homes have a ‘mother in-law suite’ or mini apartment. Sometimes these can be rented at a significant discount. I know of several of these that are built into a walkout basement and have their own entrance. Most people forget that living in this type of situation saves money on the other expenses that are attached to housing: Utilities, TV, WIFI, water, decorating, etc. Connect with Incoming Students. About 55% of Denver Seminary students come from outside the Front Range. If you’re moving to Denver, this is a fantastic time to connect with someone similar. This Facebook page Connecting Christian Roommates. Network through your local church.. Your church community is the best context for many of these strategies. Check with a local young adult’s pastor to see if they know other people similar to you with whom you might connect. Alumni Groups. I suggest connecting both with your undergraduate institution and through Denver Seminary’s Alumni These can be great starting points for connecting with a roommate or finding a church home. .
Off-campus housing. This web page lists many options for off-campus housing at reasonable rates. Denver Seminary has just over 90 housing units on campus, and they are priced about 20% under current market rates. You can choose to live with or without roommates. Living on campus is also a fantastic way to save money on transportation (most people’s second largest expense). Here is a link to that info: Denver Seminary Student Housing. In conclusion, one of the most important things to remember is that this is for a season of life. One seminary graduate I know lived in a small studio apartment above a barn in the Midwest. She and her husband could hear the horses moving around at night, but the owner let them live there for under $100 a month including free WIFI! By living this lifestyle, they saved thousands of dollars over their time in school and now look back on that season of life with great fondness. Reducing housing expenses will likely require sacrifice – a long commute, a lack of privacy, small square footage, or hours given in service, but remember that these small sacrifices will create great memories. They are only for a season, and your financial rewards will be reaped for decades to come.